Have you ever encountered the Blue Screen of Death error? Here, let’s see a true example. Last night, I got the blue screen of death and could not start my computer. As a result, I cannot access all data saved in my computer. Are they files are gone? Can I recover these lost data? Who can help me? According to a survey, many users have encountered this error? How did you access your original data saved in the computer with BSOD error? Here, if you still haven’t found a suitable way to get missing data back, you can try using MiniTool Power Data Recovery. Now, let’s discuss the details. Here, to restore missing files from computer with BSOD error, you can remove its hard drive and then connect it to a new computer as a second drive. Next, download MiniTool Power Data Recovery, install it on computer, and launch it. Third, click Damaged Partition Recovery to get lost data back. 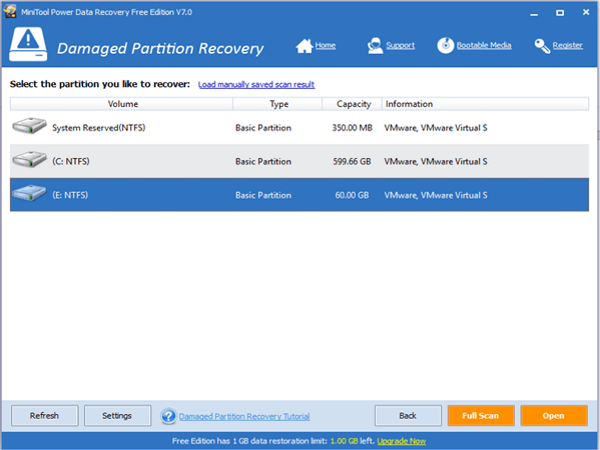 In fact, as long as the partition exists, you can recover lost data with this feature. At this time, select the drive you want to recover its data, and click Full Scan button. Note: here, if you want to recover some special data, you can click Settings to specify needed file types as well as file systems. Finally, select all needed data and tap Save button to store them. With a few clicks, you can easily recover data after blue screen of death error without affecting the original data, for this tool is a read-only one which can keep data security all the time. Alternatively, MiniTool Solution Ltd., also offers another tool named as MiniTool Power Data Recovery Boot Disk for users who don’t want to remove their hard drive. With this tool, you can directly recover data from computer with BSOD error by following these steps. Step 1: create MiniTool Power Data Recovery Boot Disk with Bootable Media Builder, connect it to computer. Then, start computer with this boot disk. After that, click MiniTool Power Data Recovery 7.0. Step 2: choose a suitable recovery module in the main interface of this software. After that, you will be given detailed operating prompts. Just do as told. 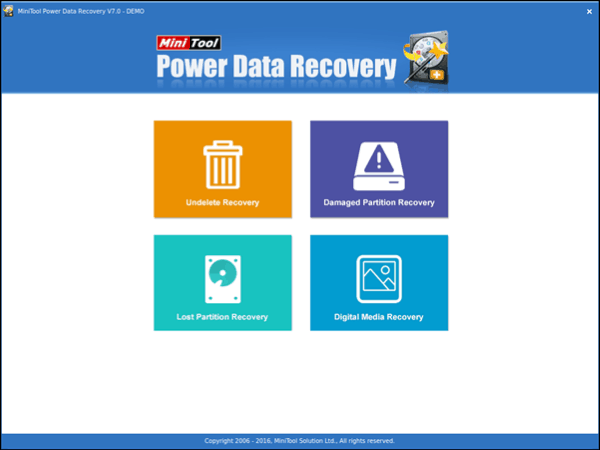 To recover data after blue screen of death, MiniTool Power Data Recovery is highly recommended for it has many good features, including excellent performance, high security and strong compatibility, and more. Although MiniTool Power Data Recovery can effectively and safely recover data that have been lost in a variety of ways, it can only recover 1 GB for free. To restore more data, you need to turn to its purchased edition. 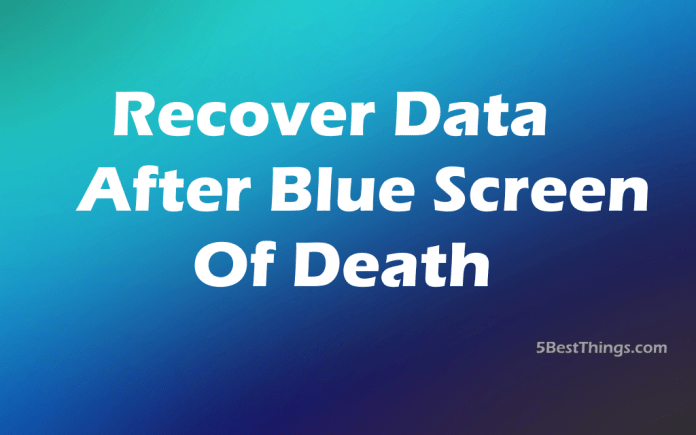 Are you still worried about data loss due to blue screen of death? 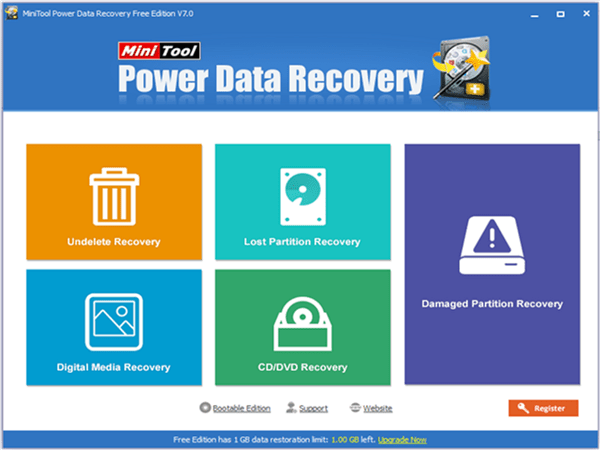 Now, you can try using MiniTool Power Data Recovery. With this professional freeware, you can quickly recover data with ease.